After timeless weeks of video review, the time has come: data analysis. I am comparing species richness of rockfish, lingcod, and cabezon between daytime and nighttime lander footage at two sites on the Oregon coast, Siletz Reef and Seal Rock. Preliminary statistical analyses thus far indicates that species richness is higher during the day, which has important implications on the overall project. Chartering vessels for lander surveys would be more economical conducted as a 24-hour operation. However, because we are seeing species richness decrease at night, this difference could seriously affect the development of a fisheries-independent index. While chartering vessels in the daytime hours only may be more expensive for the agency, it will yield a more accurate index. The empirical data I’m compiling will be an important asset in decision-making as ODFW further develops their landers. I have been using the terms “day “ and “night” loosely, so it is important that I define the time variable in my study. In fact, I started my analysis with time being separated into two elements, hours before sunset, day, and hours after sunset, night. After running a couple tests, I actually found that defining time continuously as hours since sunset provides a better model for the dataset. Developing this model also shows that our count data varies significantly ±2 hours of sunset. I will be conducting more analyses, running more models, and finding the best ways to present my findings in the coming weeks in preparation for the Sea Grant Summer Scholars Final Symposium. Although I have been spending a great deal of time learning the coding/programming language R for statistical computing and graphics, life here for me in Oregon is not restricted to videos, data, and coding. 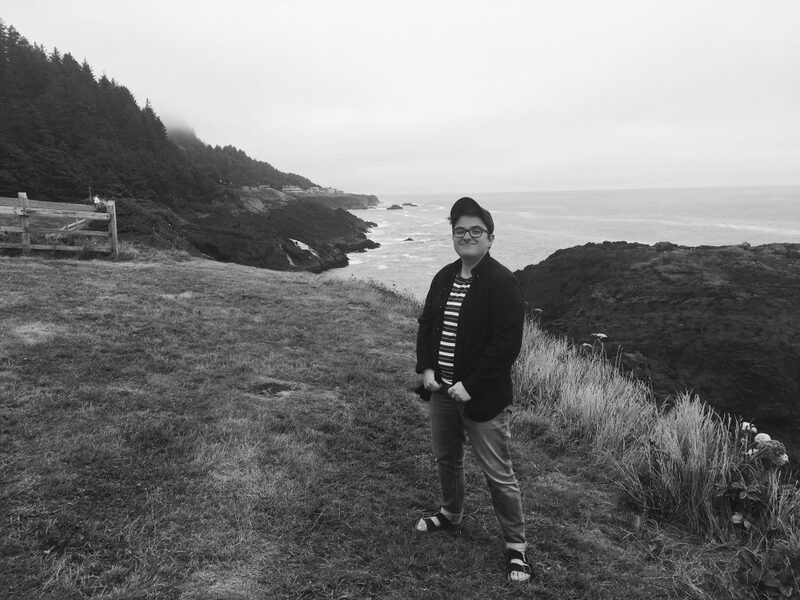 I’ve had many opportunities to explore the beauty of the Oregon coast, venturing up the famous Oregon Coast Highway, viewing wildlife from breathtaking cliffs, and camping in state parks. I’ve also had the chance to meet and spend time with a wonderful community of people here in Newport, some scientists, but other locals who are fishers, surfers, students, and artists. The Oregon coast is one of a kind, and I can’t wait to see what the rest of my time here has in store. This weekend I got to drive down the same winding road that opened my horizon to the Pacific Ocean for the first time. This time, on my way back from an adventure to Portland, the coast felt more familiar. It was a place comprised of new memories and a coast that I now knew harbored an abundance of natural resources. One of these resources is the rockfish, a genus of fishes highly sought after for being both a delectable piece of seafood and hefty game fish. Rockfish, by the nature of how they reproduce– not mating until 20 years of age and producing very few offspring– are prone to overfishing. Understanding and assessing their population statuses are essential for conserving this ecologically vital species and managing its associated economically important fishery. Studying their populations is easier said than done. 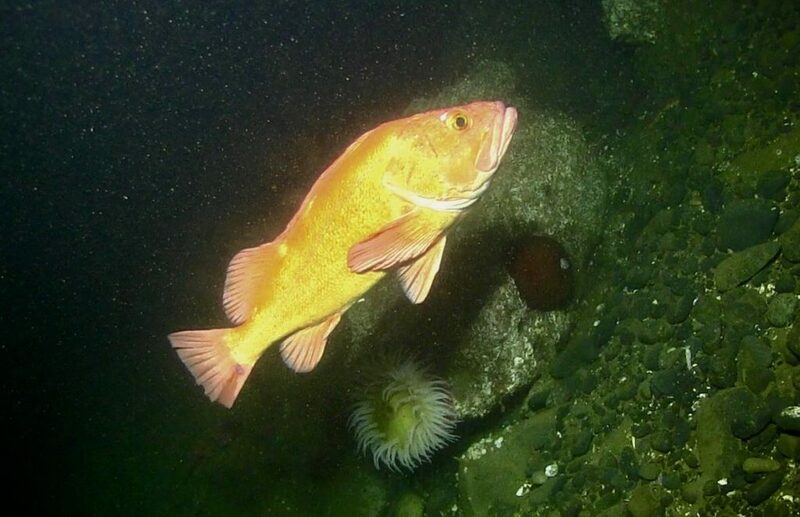 Because many of the rockfish on the Oregon coast live in deep reefs and rocky habitats, the traditional benthic species stock assessment method of trawling cannot utilized; it would destroy both the habitats and the equipment. As a result, ODFW has been faced with the challenge of coming up with a new way to conduct stock assessments of Oregon rockfish. Instead of sending nets below, ODFW has suggested dropping cameras, known as benthic landers, instead. Benthic landers consist of two standard handheld video cameras sealed in a waterproof housing attached to a large metal frame. The landers are secured to a long piece of line and deployed over the side of a boat until they hit bottom. Once at the seafloor, the cameras record the surroundings for 15-20 minutes, and, fast forward a few steps, the footage eventually ends up on a computer server for ODFW scientists and interns, like me, to review. An average day in the office consists of me reviewing lander footage and identifying the species of rockfish, as well as any other benthic fish, that pass in front of the cameras. At the end of a video review, I go back and mark the frame in which I saw the most of each species; this is called the MaxN frame. The MaxN data is what I will be analyzing statistically in the future, specifically in regards to comparing daytime lander footage to nighttime lander footage. The implications of my research is to show empirically whether time of day affects surveying and answer questions in regards to when lander deployments should be done. 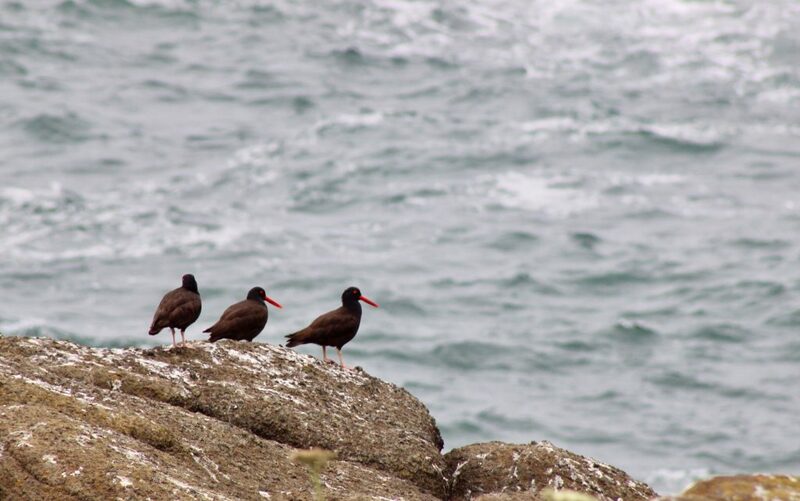 The ODFW marine resources research team’s long-term goal is for landers be used as a surveying tool across the entire Oregon coast and provide accurate fisheries-independent data for rockfish stock assessments. Before then, many practicality and methodological questions must be answered. My research works to answer one of those questions–maybe more in the coming weeks– and help develop a safe, cost-effective means of assessing rockfish populations in Oregon and beyond. As I drove down a winding road in the mountains of western Oregon, I saw it for the first time: the Pacific Ocean. From afar, it looked much like the Atlantic, but the closer I got, the more I could see the new adventures each wave was carrying ashore for me. This summer marks my first time on the west coast, and I know for sure it won’t be my last. I grew up around Boston and have always been attracted to the ocean, but the older I’ve become, the more I’ve been drawn to the natural beauty and marine life of the Pacific Northwest. I aspire, upon completing my undergraduate degree, to bring my knowledge and passion of marine conservation to this region and make it my new home. I’ve only been in Newport for a few days, but I’ve already had the opportunity to go to the beach, watch several beautiful sunsets, bike along the coast, and camp in a state park. I arrived a week later than the rest of the scholars due to the finishing of my SEA Semester, a program in which I spent 35 days sailing a tall ship 2,500 nautical miles through the Sargasso Sea and North Atlantic and studying Sargassum phylogenetic diversity and distribution. That means I’m not only adjusting to a new home and a new coast, but I’m also re-adjusting to life on land. While I may have the opportunity this summer to work at sea, the majority of my internship will take place on shore with the Oregon Department of Fish and Wildlife (ODFW). For this job, I will be working with the ODFW fisheries research team to study the efficiency of remote underwater vehicles, also known as stereo-video landers, in developing fisheries-independent surveys of demersal fish populations in Oregon. I will be conducting video reviews of previously recorded stereo-video lander footage to study whether species composition and abundance varies between day and night. Understanding this parameter will help develop more accurate fisheries-independent data for stock assessments. Throughout my undergraduate career in marine science, I’ve have grown increasingly more interested in fisheries conservation and management. 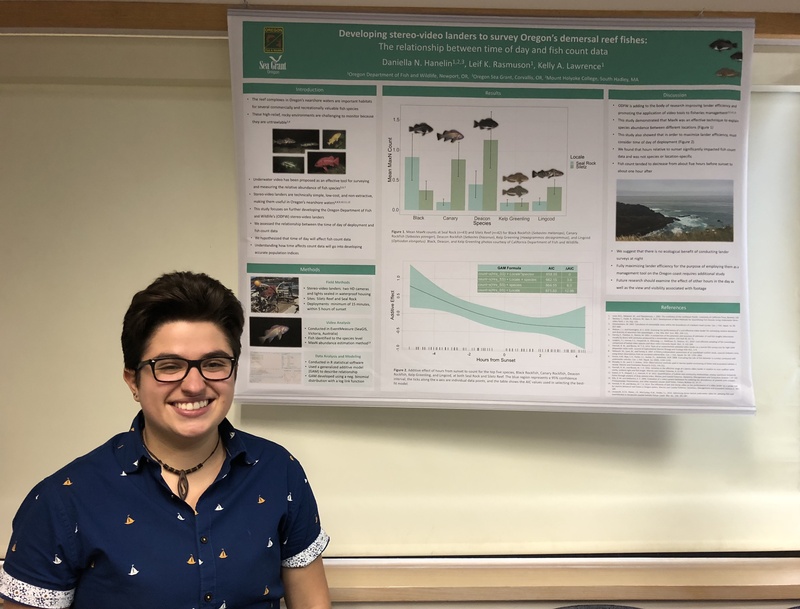 Last summer I interned at the NOAA Southeast Fisheries Science Center, and throughout the past year in the classroom I have learned a lot about fisheries management and economics. I’m excited this summer to experience a different type of workplace, as much of my previous work has been field-based, and to work hands-on in fisheries management. Tomorrow marks my first day in the office. Just as the Pacific Ocean became more scintillating the closer I got, this opportunity with ODFW gets more exciting as the minutes go by. I cannot wait to learn more about the project I get to assist, the marine life that thrives off the Oregon coast, and the ways fisheries science plays a role in marine conservation.